Since 2005, we "Dhananjay Brass Products" established ourselves as a prominent organization of the market by manufacturing and trading a wide array of CPVC and UPVC Pipe. Under our quality approved the collection of products we are presenting CPVC Pipe SDR 13.5, CPVC Pipes SDR 11 and UPVC Pipes SCH 40. Offered products are manufactured from high-grade components with following industry guidelines. Our products are highly admired by the customers for their application specific design, easy to use, high performance and longer service life. We have constructed a highly advanced infrastructure unit. Our professionals are well versed with the latest technology and modern machines used in the production process. 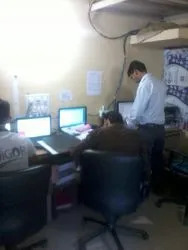 All these team members work in a synchronized manner to streamline the operations.Also, our quality analysts maintain a stringent quality control regimen for the product range and ensure the dispatching only flawless products from our premises.Apart from this, we are able to deliver the products safely at client end with the help of well-connected distribution network. Under the direction of our mentor, Mr. Arvind (Marketing Manager) & Mr. Rajesh Patel (CEO), we are able to famous in the market. Owing to his experience and deep knowledge, we are increasing our reach in this domain. We are backed by a talented team of professionals. They make sure that the entire offered CPVC and UPVC pipe are in compliance with industry standards of quality and then dispatch at the customers end within the limited time frame.Commitment and dedication towards work of our employees have helped us in catering to the requirements of our patrons in the most efficient manner. Right from the procurement of input material to the finishing of the CPVC and UPVC pipes, all steps is strictly monitored by our experts. Post production, the offered products undergo various quality assurance procedures. For this, we have established an in-house quality testing unit and a team of skilled quality controllers. Keeping in mind its application areas, we offer our qualitative range of products. We are backed by top-notch infrastructure. Our manufacturing unit is equipped with the entire updated tool, machines and latest technology for the production of these CPVC and UPVC pipe. This facility is regularly checked in order to match the current needs of the market. We also understand the quality of our product is important not only for us but for the client competitiveness as well. Our R & D team constantly upgrades our products as per feedback from our customers and also keeping in mind the future requirement of the industry. With years of experience in this industry, we know what our customers are looking for. Our offered CPVC and UPVC pipes are highly admired by the customers for their high strength and excellent quality standards. 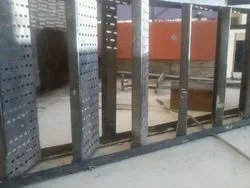 With the aid of latest machinery and talentedteam members, we have been able to manufacture the offered range in compliance with the industry set norms. Our ability to manage bulk orders and transparent transaction policy has helped us in catering a huge clientele.